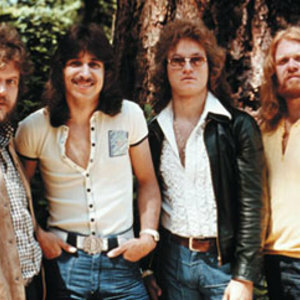 Bachman?Turner Overdrive (frequently known as BTO) is a Canadian rock group from Winnipeg, Manitoba, that enjoyed a string of hit albums and singles in the 1970s, selling over 7 million albums in Canada in that decade. Their 1970s catalog included five Top 40 albums and six Top 40 singles. The band has sold over 20 million albums worldwide, and has fans affectionately known as "gearheads" (derived from the band's gear-shaped logo). Many of their songs, including "Let It Ride", "You Ain't Seen Nothing Yet", "Takin' Care of Business" and "Roll On Down the Highway", still receive play on FM classic rock stations. The Bachman family name is pronounced /?b?km?n/, and the band uses this pronunciation when referring to themselves. This pronunciation is an example of a speech pattern known as Canadian Shift. However, the pronunciation of /?b? ?km?n/ is the standard outside of Canada. It has become so widespread, especially on American radio, that the band no longer makes the correction, and both pronunciations have become acceptable. After the band went into a hiatus in 2005, Randy Bachman and Fred Turner have reunited for a tour and collaboration on new songs for 2010. In 2010, they played at the Grey Cup in Edmonton, AB.